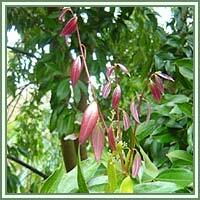 Habitat: True or Ceylon Cinnamon is an evergreen tree native to South East Asia. Description: Cinnamon is a spice made from the inner bark of several trees from the genus Cinnamomum. When dried, it is rolled into a familiar tubular form named quill. Cinnamon tree can grow up to 15 meters in height. It has a thick, rough bark and strong branches. Leaves are ovate-oblong in shape and shiny green in color. Flowers are green, arranged in loose clusters. Fruit is a purple, oval berry, with a single seed within. Useful components: Cinnamaldehyde, gum, tannin, mannitol, coumarins, essential oils (aldehydes, eugenol, pinene). Medicinal use: Cinnamon bark is widely used as a spice, but also has different medicinal properties. It is considered to be astringent, antiseptic, carminative and stimulant. It was traditionally used as a remedy against colds, diarrhea and various problems of the digestive system. Recent studies suggest that consumption of Cinnamon on a daily basis could significantly lower blood sugar and cholesterol levels, making it extremely helpful for patients suffering from Type 2 diabetes. Due to its carminative effect, it can be used in cases of nausea and flatulence. Chewing on powdered Cinnamon is said to help people with cold feet and hands. In addition, it is also recommended in cases of appetite loss and indigestion. 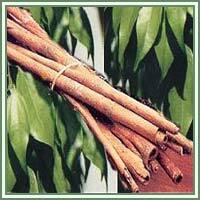 Cinnamon essential oil has significant antioxidant and antimicrobial properties as well. Safety: Some herbs can interact with certain medication. Always consult your doctor/herbalist before consumption of any herb.